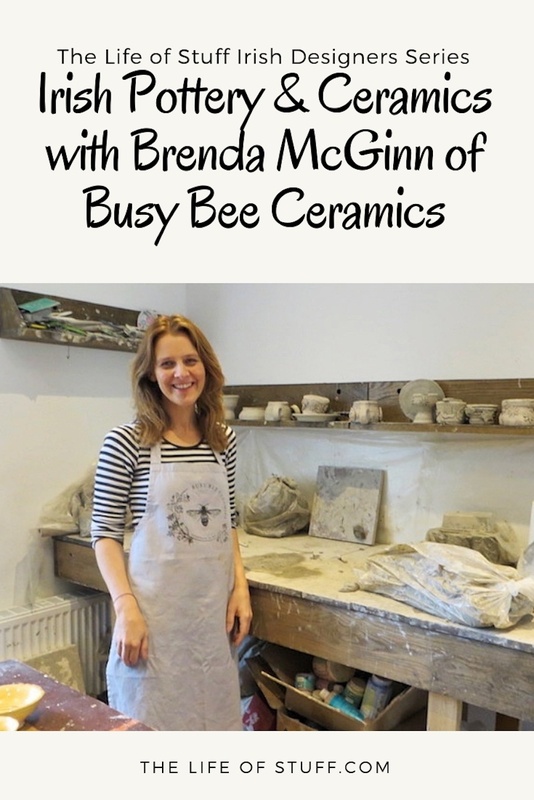 On my latest trip to Monaghan, I visited Brenda McGinn at her Busy Bee Ceramics studio and store in the gorgeous village of Glaslough. Barely in the door, with my jacket still on, I couldn’t help but blurt out something about the pottery scene from the film ‘Ghost’. But before I had a chance to feel red-cheeked at the mention of it, Brenda whipped out a Patrick Swayze mask and a Demi wig from behind the counter. And from that giggle and moment on I knew Brenda was going to be someone who is not only passionate about what she does, but is fun-loving too. I could easily have chatted with Brenda longer than the couple of hours we had. 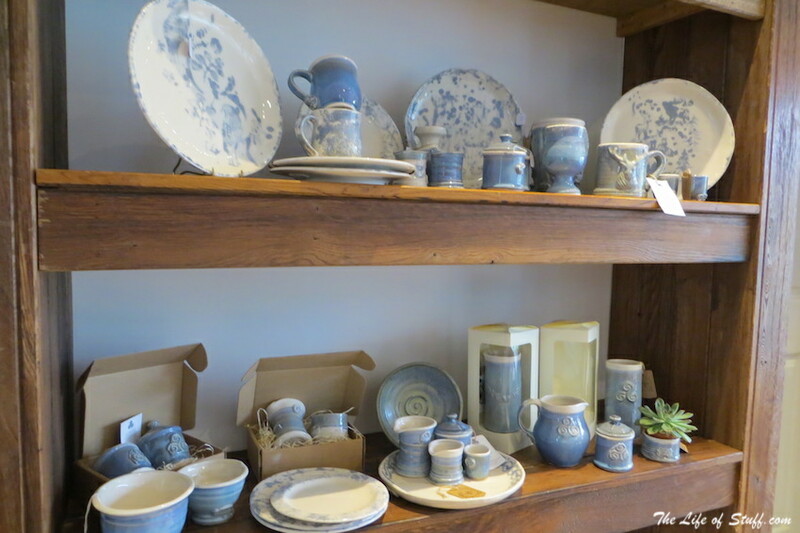 And although I already consider myself a lover of art, craft and design, and somewhat of a creative myself – her passion for pottery and ceramics was catching. 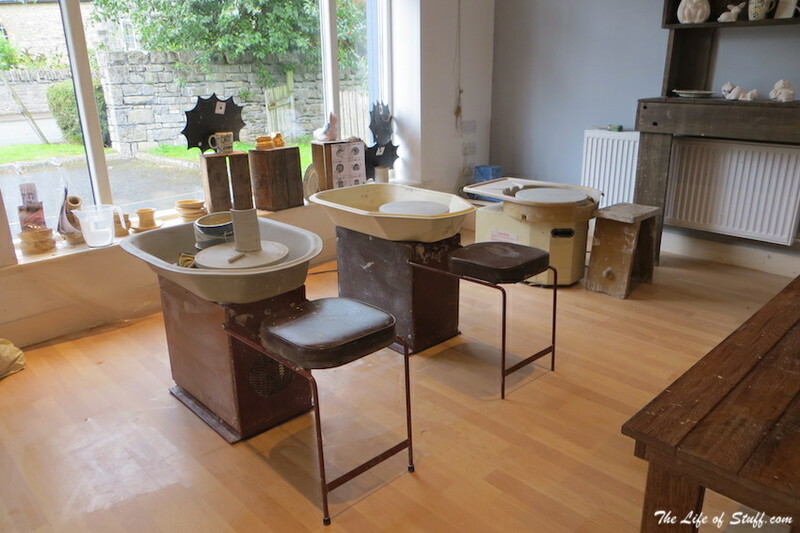 So much so she had me eagerly sitting at one of her potters wheels throwing my own pot – minus the wig, although had Patrick been there, I might have been tempted! Throwing my own pot was a special experience. Guided by Brenda, she told me she believes that when you make something you give a part of you to the piece, and I certainly did! Taking my eye off the ball for a split second turned what many would consider a mistake into a spout feature I hadn’t considered until that moment in time – turning the pot I had created into a perfectly unique jug or vase – which I’m delighted to say it will be gracing a shelf in my home when Brenda fires and glazes it for me. 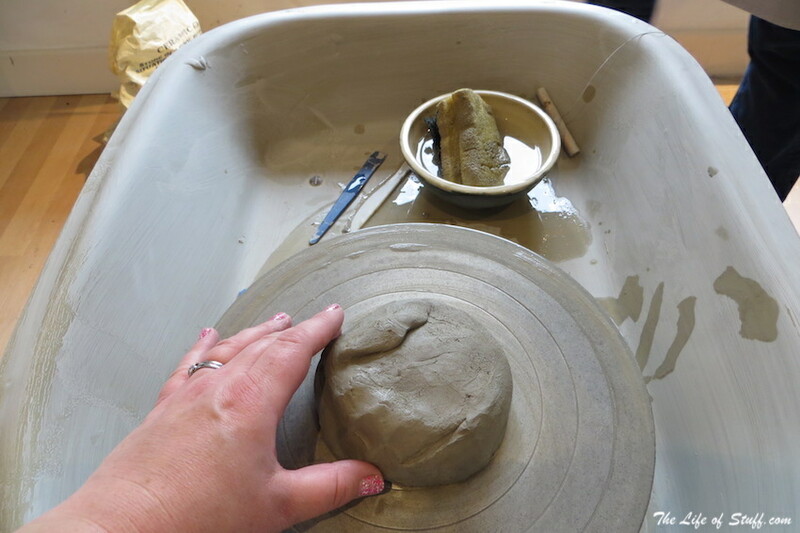 Brenda is a fine tutor and if I lived nearer I’d definitely be signing up for a course to learn more – I could see and feel how easily pottery making can be used to de-stress, encouraging creativity and mindfulness. The next time we visit I’ll be encouraging Patrick, and the boys, to try it out – Brenda tells me kids love it! 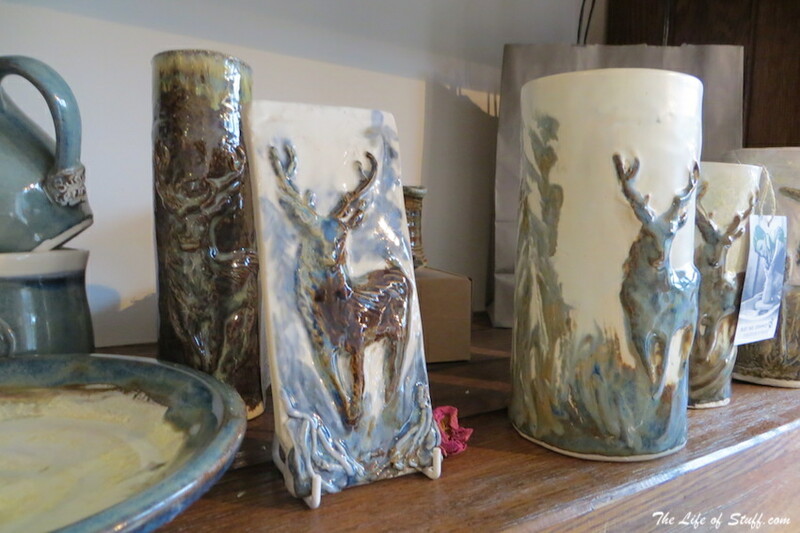 Brenda McGinn is a talented potter and ceramicist. 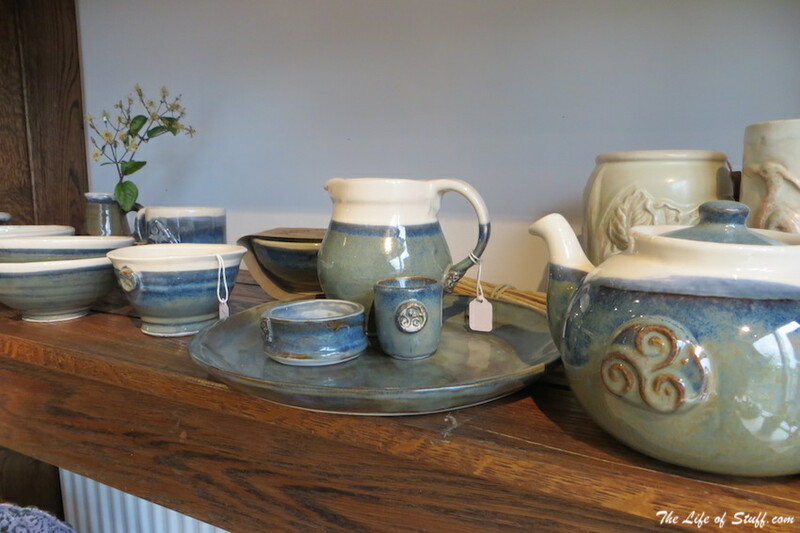 Focusing on tableware, her work not only gives a nod to her celtic heritage, and the countryside she lives in, but is artistic and stylish – and her durable tableware ranges consist of timeless pieces that would brighten any meal – perfectly functional, great for gifts or collectors. 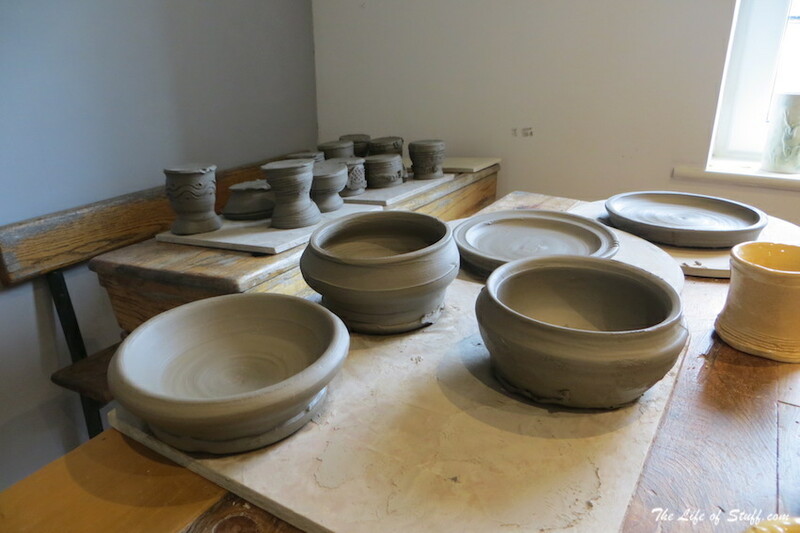 What was your inspiration to become a Potter/Ceramicist? My first memory of realising I loved to create was when I was eight years old. I thought I wanted to be a baker. I spent my whole time doing art any chance I could. I attended The University Of Ulster in Belfast for Foundation Year and applied for a Fine Art Degree specialising in painting. Then I got accepted into the University of Ulster to study Ceramics in Fine Craft Design. I had no idea what I was getting into and now I have no idea, or intention of getting out of it! As part of that degree I got to be an apprentice in Muckross House Killarney working as an apprentice potter. Learning pottery in a working environment was a great experience and my pottery mugs were being sold in the shop there. It is great to do an apprenticeship like this as you gain first hand knowledge and business skills which you wouldn’t learn in college. 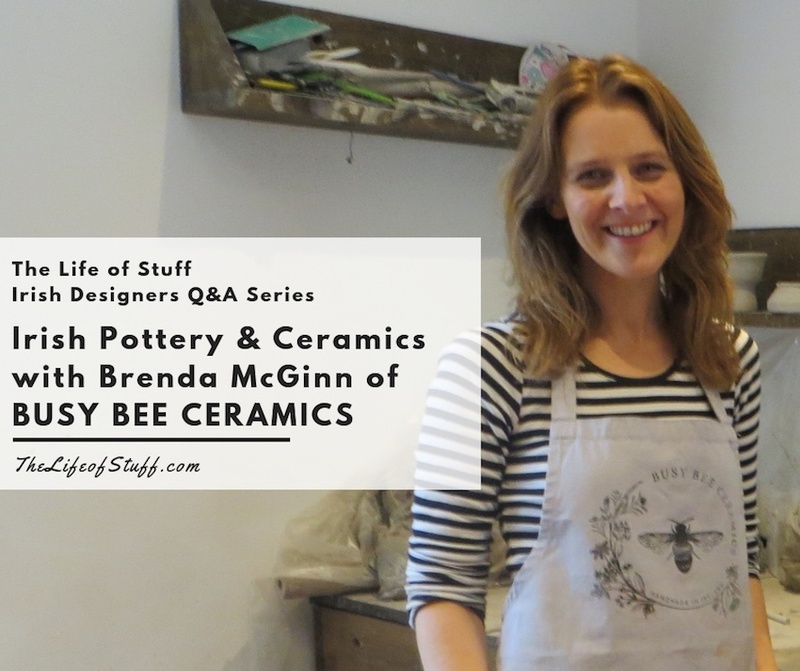 How did you officially become a Potter/Ceramicist? 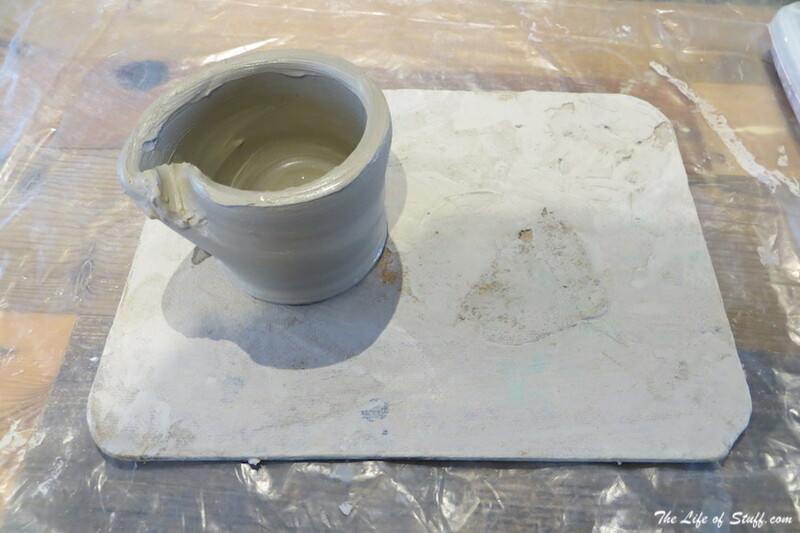 How I ‘officially’ became a Potter/Ceramicist? – I had a nudge from the taxman to register the business! He actually helped me get serious about my business for the first time. 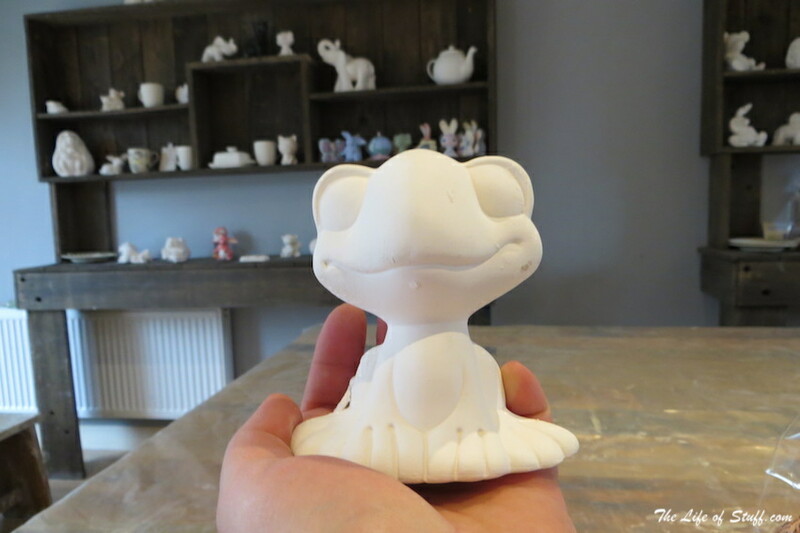 Being a single Mum with two kids was not an easy path at first, though my kids always encouraged me to continue with my passion for pottery and for business! Where do you take creative inspiration from for your work? My inspiration can come from anywhere – not just one particular thing. Conversations inspire me, my kids inspire me, and of course nature, textures and colours – our celtic roots and stories. My serving plates are being used in the lovely Courthouse Restaurant in Carrickmacross and Castle Leslie uses my cereal bowls in their Snaffles Restaurant – that in itself inspires me! What’s the wackiest request you’ve had to date for commission work? The strangest and wackiest things I have ever made were the skulls and bones I was commissioned to make by the CRAIC Theatre in Coalisland, Co. Tyrone for their production of The Skulls of Connemara. I had to make skulls, pelvises and femurs so they could smash them up during the play. As I was working from home at the time I kept them in the hot press to dry, and as it was Halloween there were some very spooky moments! It was hilarious when I went to see the play with my friends and watched them getting smashed to smithereens! Where would you love to exhibit/sell your work – the dream? My studio Busy Bee Ceramics in Glaslough is open Wednesday through to Sunday as an ongoing exhibition! My products which are all made by me can be purchased from here and I encourage everyone to also take part. Because I am passionate about pottery and the therapeutic effects it has on people, I would love to see the Education System both at Primary and Secondary Level encourage pottery as a necessary element of learning and to incorporate it into a unique Mental Health Programme for schools. What are you working on now? Any exciting news/event coming up? My current work includes planning our Autumn classes for Adults and Kids and of course our Halloween Camp is coming up soon. I have a very exciting order in for new ‘blates’ for Courthouse Restaurant – blates are half bowl, half plate serving dishes. 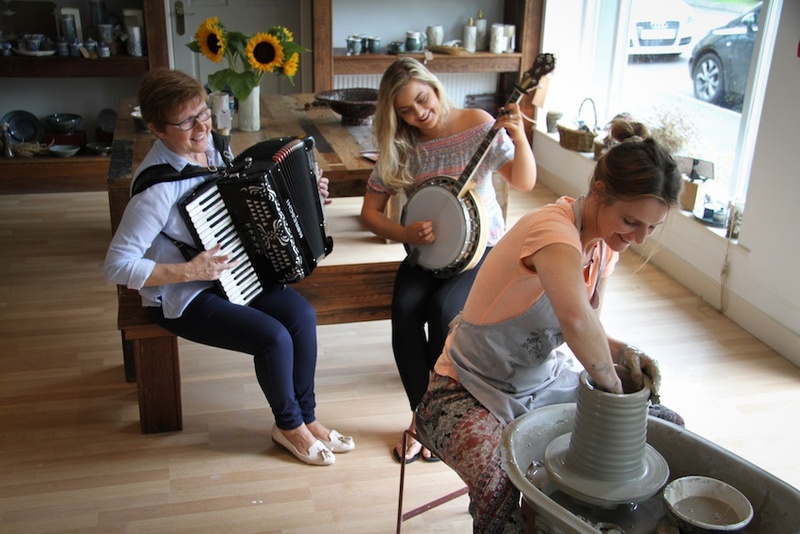 The exciting news coming up – is this weekend on Friday September 21st from 6pm-10pm for Culture Night we have our own event Clay’n’Ceol. We will be ‘throwing’ lots of pots and everyone can take their pot home. It’s a free event and world-renowned Trad band Camceol will be playing! Light refreshments will be served including tapas from Courthouse Restaurant! 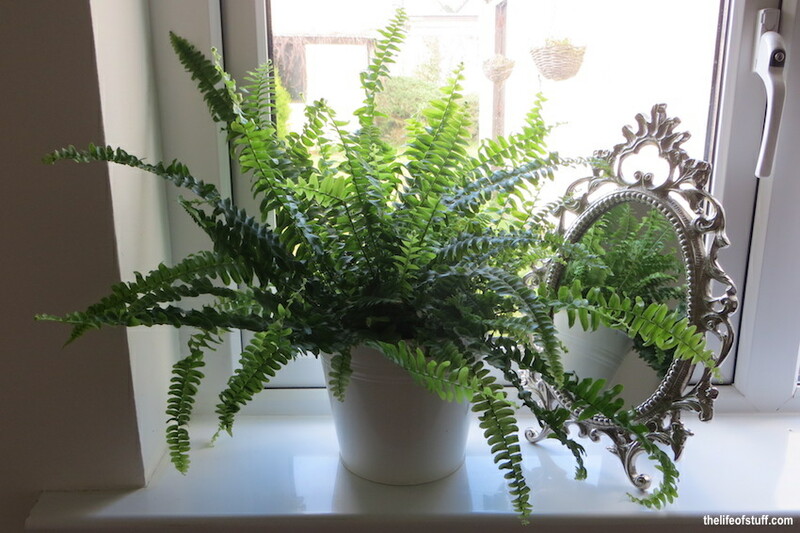 Thank you to Brenda – I hope to see you again on my next visit to Monaghan.